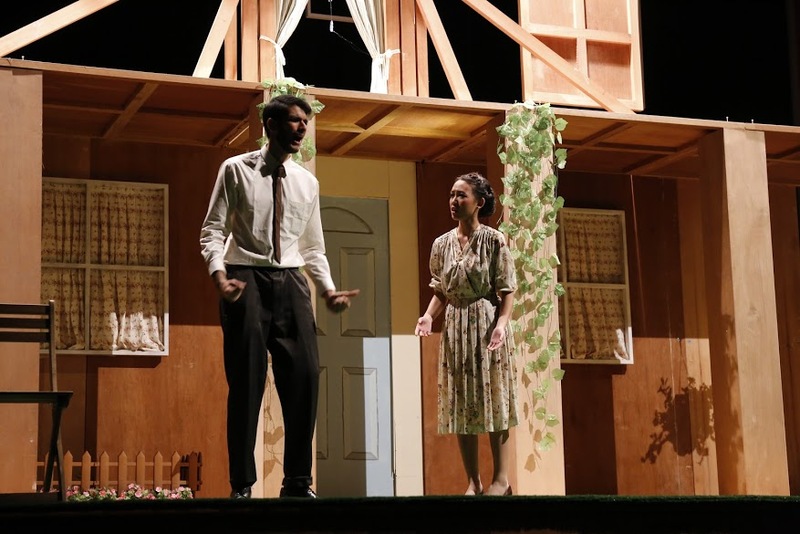 The curtains of the PAC opened to a picturesque two-storey set that drew a collective gasp of admiration from the audience — “All My Sons”, the highly anticipated production by Raffles Players, was about to begin. Centred on themes of family, responsibility and morality, the play revolved around the lives of the Kellers, a family living in post World War II America. 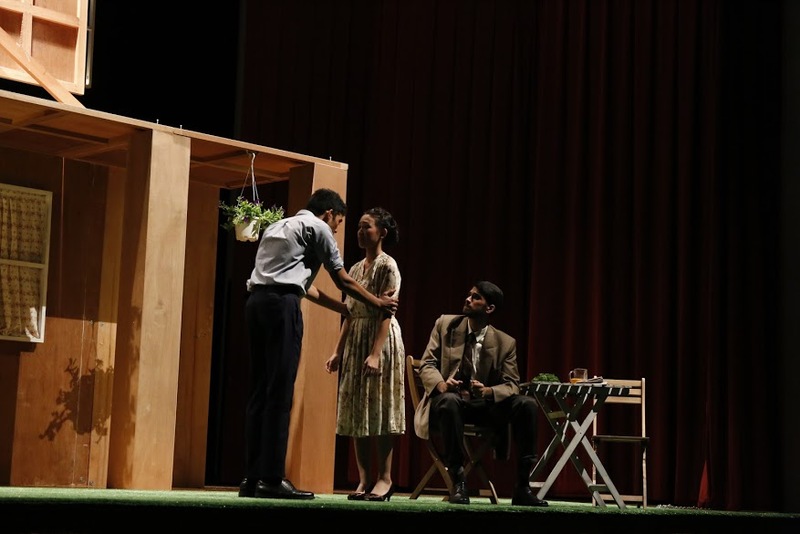 The performance stood out due to the cast’s impressive delivery in capturing the essence and emotions of the play, creating a thoroughly enjoyable performance that kept the audience at the edge of their seats from start to end. The opening scene starts off slow and languid: Joe Keller (Sarthak Panwar, 16S05A) reclines in his seat, idly discussing the news with his neighbors. It is just after World War Two, but Joe Keller seems to have been able to rebuild his life fairly well. 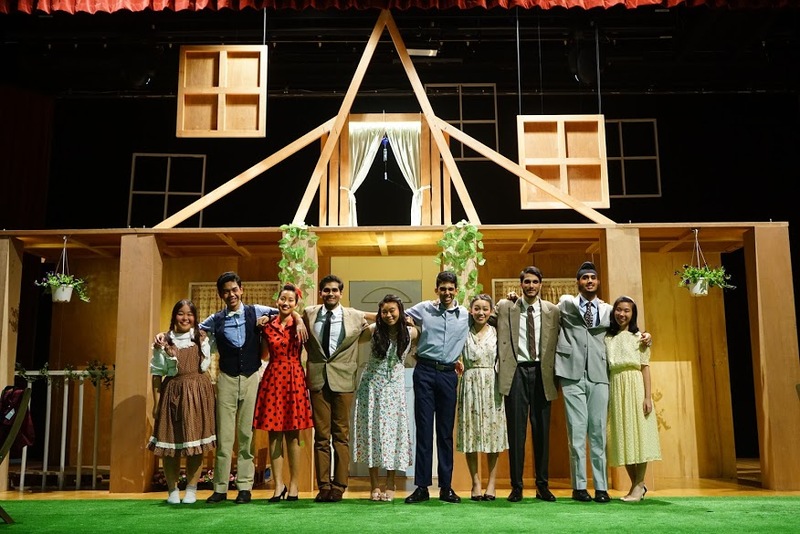 The actors sit around a quaint, two-storey set built “out of the wildest of dreams” (in the words of Set I/C Choo Ian Kang, 17A13A), chatting about the weather. An affable man, Joe’s life seems to be going well. 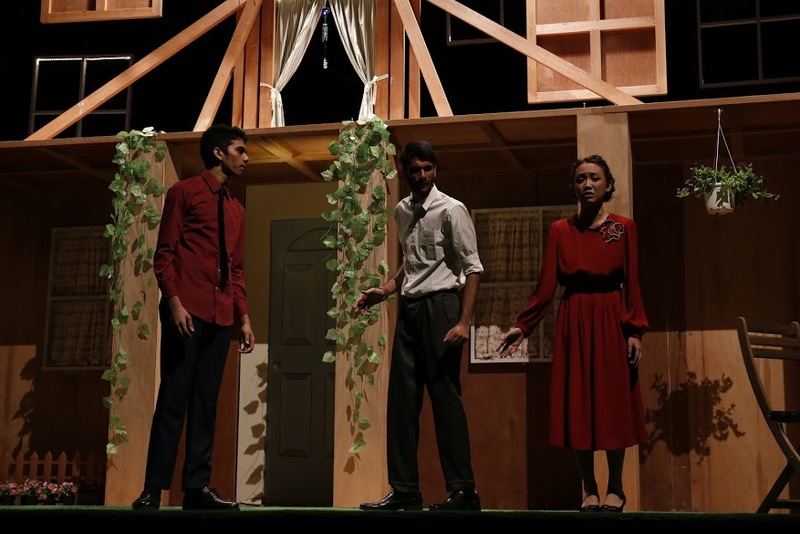 However, with the entry of Chris (Rishi Vadrevu, 16A01D) and Joe’s wife, Kate (Tan Xin Hwee, 17A13A), it becomes clear that the Keller family’s seemingly idyllic existence masks an undercurrent of conflict, fear, and deception. 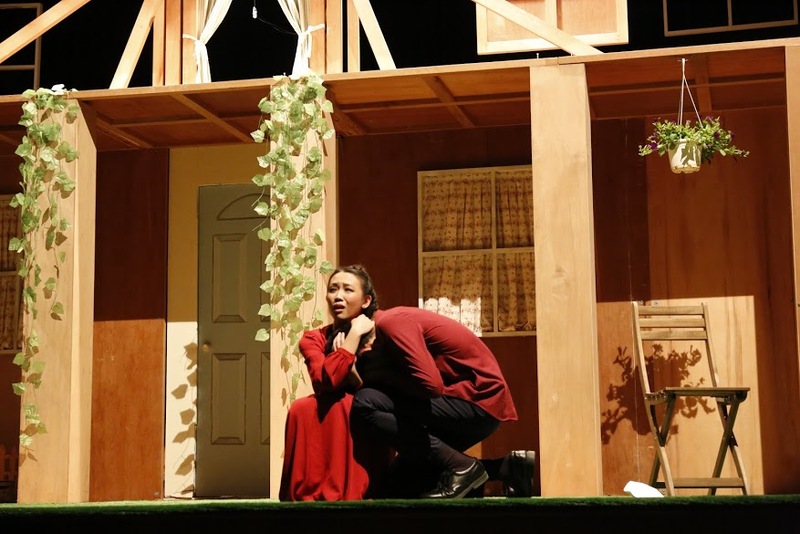 Chris’ central surfaces the first conflict of the play: he wants to marry Annie (Jane Zhou, 17S03P), the former fiancee of his brother Larry, who has been missing for three years. Most importantly, Annie is the daughter of Joe’s former partner, who had been indicted during the war for shipping out damaged engine parts that caused the death of 21 pilots. Joe’s interactions with Kate quickly surfaces the tensions in the play. The conflict between Kate, Joe, Ann and Chris quickly unfolds. George’s arrival is the catalyst for the play’s final confrontation. Silence, and Kate’s figure, small and trembling, retreats into the set. The door shuts with a resounding thud, and Chris turns to his father. When they speak, it is an exchange, slow and disbelieving at first, and then escalating to a full-out confrontation. Chris’ idealism and love for his father is shattered, and the world as he knows it, too, shatters. Chris delivers a poignant line: “I know you’re no worse than most men but I thought you were better. I never saw you as a man, I saw you as my father.” It reflects on how the villains and monsters of our world are often, no less than our fathers, our uncles, and our friends – they, too, are only human, doing what they feel were exigent, what is pragmatic. It is as we so often do, masking our decisions with justifications – it is for our family, it is for practicality, it is because everyone else is doing it. Joe Keller’s decision to ship faulty aircraft parts to the pilots in the war resulted in the death of twenty-one pilots. To him, it was clear that the decision was morally wrong, but still justified: He had done it with the intention of protecting his own family and business, as did many others in America. In Joe’s words, “the whole country’s got to go if I’ve got to go”. Joe’s small, family-centric understanding of the world, however, is finally shattered by a letter written by Larry. It is brought out by Ann, in a desperate bid to salvage her relationship with Chris. Through the letter, it is revealed that Larry had committed suicide in shame of what his father had done. Joe, ashen-faced, reaches an understanding that “there is a universe of people outside” that he is responsible for. His self-interested justification that it was for his sons extends to the realisation that the pilots were, in a way, “all my sons”. Larry’s letter is the final, devastating blow to the Keller family. Here, Sarthak’s high-calibre acting brought to life the full spectrum of emotions experienced by Joe – indignance, guilt, desperation, and finally, defeat. Despite initial difficulty in relating to the depth of Joe’s emotions, Sarthak’s acting brought his character to life. From “deepening [his] voice, and giving it an air of maturity” and “more controlled, slower” actions, Sarthak’s acting clearing reflected Joe’s turmoil and his age. His final, staggering steps to his house and the gunshot that follows serves as a ringing reminder that the actions of one can result in detrimental effects to society – whatever the small, personal justifications one makes. It teaches us all about man’s responsibility – not just to his family, but also to the world around us. It resonates with any member in the audience who had ever been caught between the pull of idealism and the weight of reality. This relatability in turn drew the audience further into the play – into the (perhaps not-so) fictional world of the Kellers. 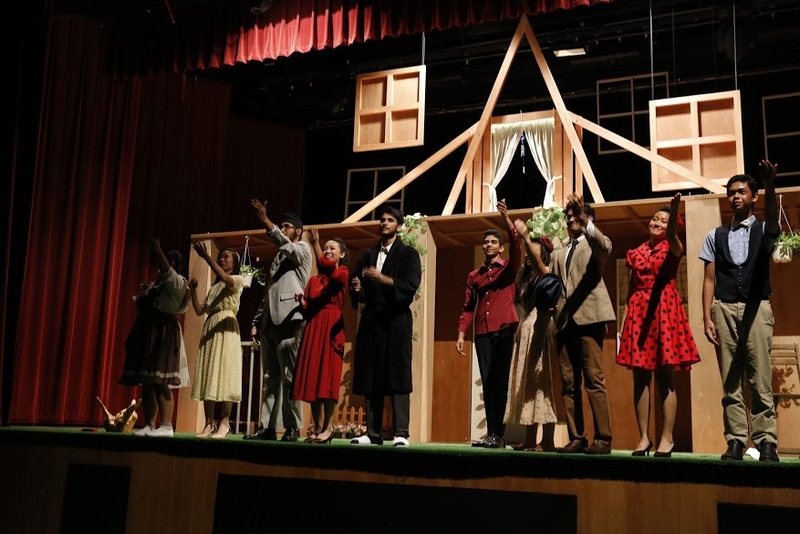 All in all, Raffles Players definitely outdid themselves with this production, and the audience certainly agrees. 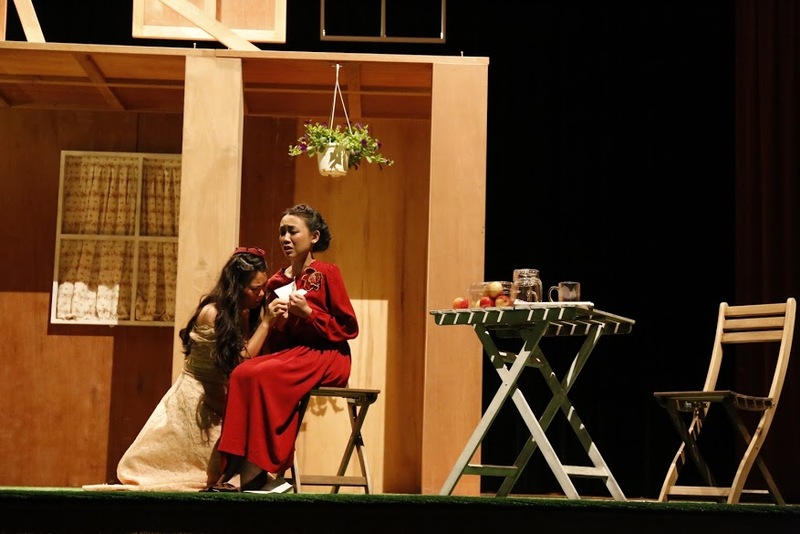 “The performance made me very excited for the lit text next year because of the different themes that stood out during the play,” says Alethea Tan (17S07D). 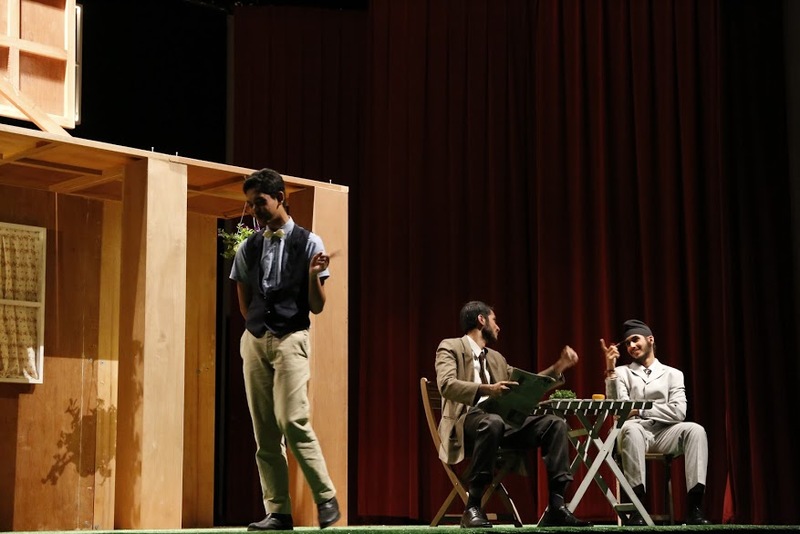 The play was definitely well-received, and enjoyed great popularity among the student body. 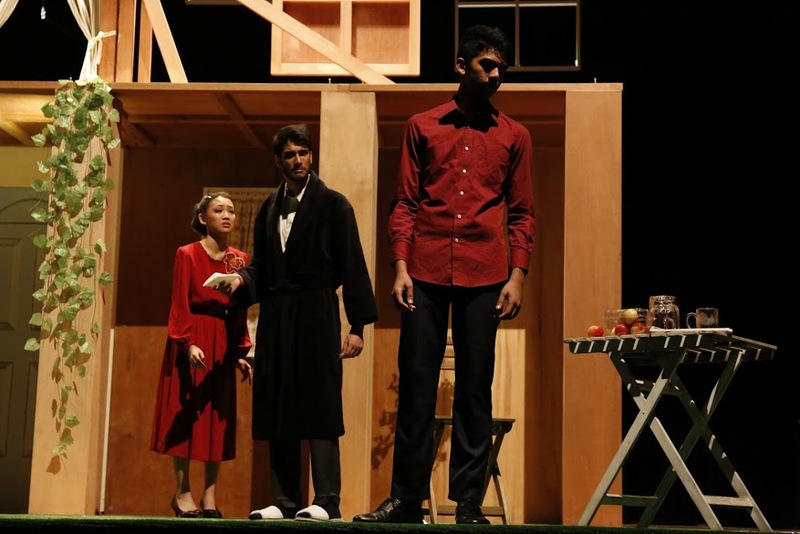 With their immense effort, and nearly flawless execution, Raffles Players had done yet another play justice. 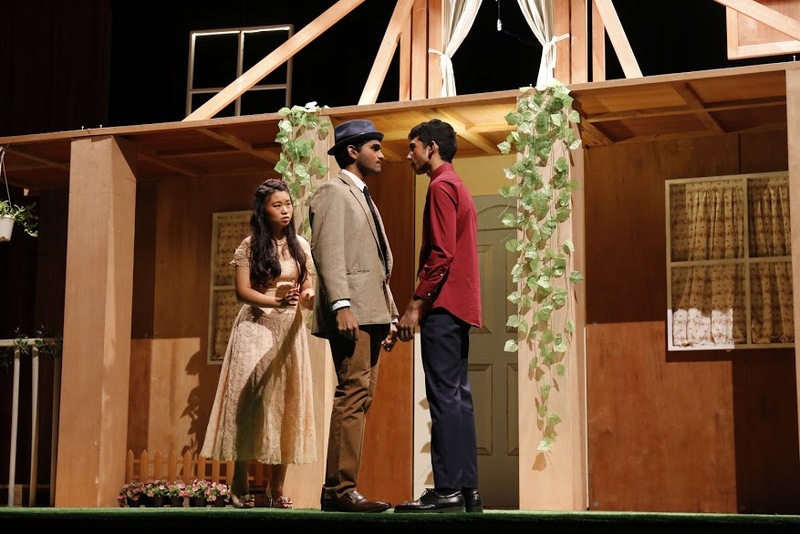 Raffles Press would like to congratulate them on another brilliant performance!